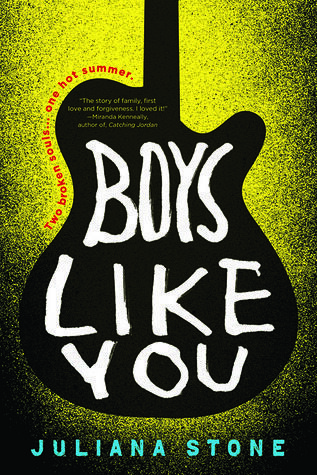 While I’ve never read Juliana Stone before, foresight told me that Boys Like You was the type of book I could like. I did like the story, but that would be as far as it gets. A summer tale of moving forward and finding forgiveness, Boys Like You turned out to be an affable read. Funny, the things you remember, and the things you can’t forget no matter how hard you try. 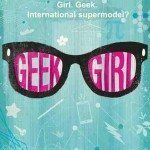 The book is told in dual points of view, split between the female and male protagonist. Monroe is visiting her Grandma’s for a vacation and Nathan happens to be working there so their worlds collide one hot summer day. Both Monroe and Nathan’s voices were well-defined and engaging. I found myself feeling for these characters sometimes, and it helps that the narration was evocative enough. I was comfortably at ease with Stone’s writing for most part, although I wished at the time that it had been more striking instead of familiar. That said, Boys Like You had very tangible characters. Monroe and Nathan are haunted by their mistakes and their emotions were realistic. I didn’t feel like the author drew out the character’s angst- in fact I think she expressed them well. The grief and guilt that the characters felt were palpable, existing in their every thought and feeling. It’s just hard to succeed at something when you don’t really care. I liked how we didn’t exactly know what Monroe’s mistake was but are given hints instead. It adds a certain mystery to her and proves further more how guilty she felt about it. Nathan also has his own mess-up which caused him to hold back on one of his passions. I was hoping music would be prominent in the story what with the guitar silhouette on the cover. While it was there, since Nathan was a musician, it wasn’t a main theme so I was a little letdown. The book thrives on its main cast and the same is to be said with its romantic aspect. When Monroe meets Nathan, sparks fly instantly. I wouldn’t say the book was insta-lovey but the attraction between them was rather immediate despite the fact that Monroe and Nathan irked each other at first. They had chemistry though and for most part, I thought their relationship was nice to watch. I wouldn’t say I loved it, but it was decent to likable, which is really how I found the book as a whole. Life goes on. The world still turns and every morning, the sun still rises. I learned that while pain and regret can burrow beneath your skin like a parasite, there is always hope. 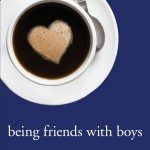 I wasn’t as taken with Boys Like You as I’d hoped, it was still a ‘good enough’ book. It’s quick to read, with convincing characters and a nice love story. Checking it out wouldn’t hurt but I think it would appeal more to contemporary romance junkies like myself. I wonder why they used that cover if the music wasn’t so prominent in the story. I love contemporaries myself, but I usually find that it’s hard to get into the serious ones. 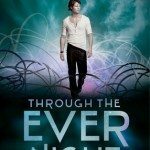 Too bad music wasn’t prominent in this book, I was hoping it would be when I saw this book on Goodreads. I might give this one a try since I’m a contemporay romance junkie too. Great review Hazel! Okay, I love the description of the book. It sounds like something I would really like. I am a little bummed it didn’t “wow” you, but it still sounds interesting enough :) Thanks for the great review!